Louie (FX) – Always great and this year’s episode of “And so did the fat lady” was perhaps my favorite half-hour of television this year. 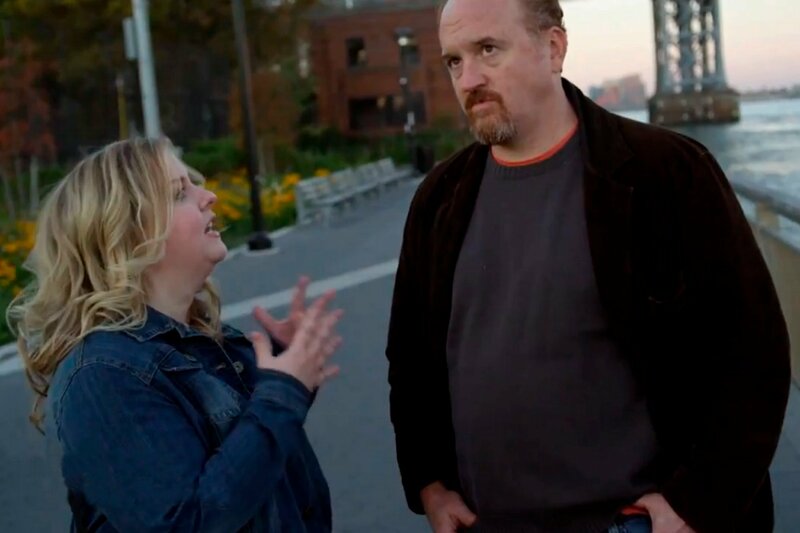 Just a fantastic job by Louis C.K and guest star, Sarah Baker, a thoughtful, smart and funny 30 minutes that everyone should find and watch. Brooklyn Nine-Nine (FOX) – The only network comedy I can stand to watch right now and it consistently makes me laugh every week. Last Week Tonight (HBO), The Daily Show (Comedy Central) – John Oliver’s new show on HBO did a wonderful job of mixing the way The Daily Show covers topics in the news, with the way, The Bugle, Oliver’s podcast, finds important stories that are not being covered by the mainstream outlets. Meanwhile, Jon Stewart’s Daily Show remains the go-to place for coverage of everything that is going on in the political world and beyond. Silicon Valley (HBO) – Well put together show and enjoyable first season, but it was not must-see like the comedies that did make the list. Transparent (Amazon) – The hardest omission from the top ten and one I desperately wanted to find a way to include it in the list. 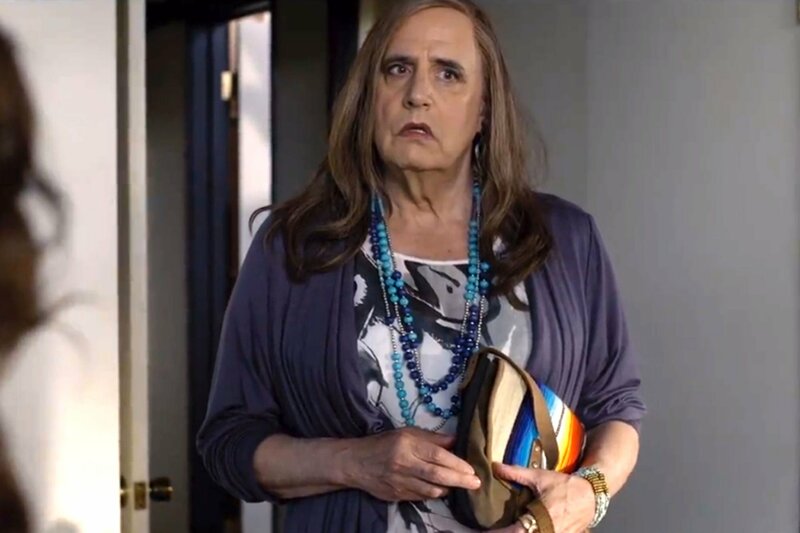 Jeffrey Tambor is absolutely brilliant in the leading role, but the supporting cast is also fantastic and I watched the entire season within a week. Mad Men (AMC), Homeland (Showtime) – Both of these shows have been among my favorites in previous years, but neither had strong overall seasons in 2014. The second half of Mad Men and a string of five Homeland episodes were among the best installments of any show this year. However, I seriously wondered why I was still watching Mad Men during the opening few weeks of the half-season, while I was outright hate-watching Homeland until it suddenly got good again. Boardwalk Empire (HBO) – It was not the best season of this once-great gangster story, but it was good enough to give a fitting finale to the show. The penultimate episode was one of the most entertaining hours of television in 2014. 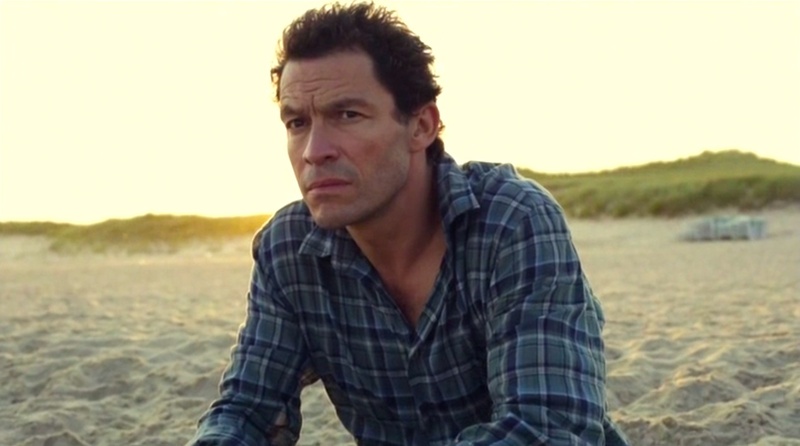 The Affair (Showtime) – I thought this was a compelling and excellent new show, though to be fair, I will always watch McNulty (Dominic West) in a leading role. Throw in any actors from The Wire and you can usually guarantee I will be in…except if it is a show about zombies (sorry The Walking Dead fans, you’ll not see that in my top 10…or Game of Thrones – all of my favorite shows take place in a version of the real world). The split-narrative of The Affair could have turned out to be clunky after the opening episode, but it was handled brilliantly and gave the show a unique story-telling device. Alongside Dominic West, Ruth Wilson is also great as the other participant in the affair that gives the show its title. Sherlock (BBC/PBS) – My wife and I did not watch any of the Benedict Cumberbath/Martin Freeman version of Sherlock Holmes until this January, so it was tempting for me to include it. However, the three episodes that were released in 2014 were not as good as what had come before, so it drops down to honorable mentions. Justified (FX) – A really fun show every year, but next year’s final run of episodes with a much-anticipated showdown between Raylan Givens and Boyd Crowder could find it crack the top 10 in 12 months’ time. The Missing (BBC/Starz) – Another import from the UK, the first hour of The Missing was an incredibly hard show to get through, not because it was bad, but because of the harrowing nature of the subject matter. James Nesbitt stars as the father of a boy who goes missing in France in 2006 and the duel narratives between present day and the events from eight years earlier are incredibly well intertwined. Both The Sopranos and The Wire had a tendency to save their best and most action-packed installments of each season to the penultimate episode, but in its second year it was the third from last chapter of House of Cards that was the peak of the run. At the opening of this hour, Francis Underwood is forced on the defensive as, during his testimony to the Special Prosecutor investigating foreign funds being channeled into a super PAC, Heather Dunbar reveals that they have proof that the Vice President’s Chief of Staff, Doug Stamper, had made a trip to both Kansas City and Beijing on the very day that the Democratic leadership had been discussing the GOP attack ad. When questioned about Raymond Tusk and Xander Feng, Underwood pleads ignorance and claims that he has only heard about that latter through newspaper stories, thus he is as familiar with the Chinese businessman as he is Kim Kardashian. As he negotiates the group of reporters waiting to quiz him as he leaves the hearing, Frank speaks to the audience and tells us that he has gone from the lion’s den to a pack of wolves, now he will need to throw them some fresh meat to survive. That meat will come in the form of the President of the United States. Like a wild animal, Underwood is at his most dangerous when he is backed into a corner and this proves to be the case once again, as he uses the revelation that Stamper had been looking into the super PAC money to his own advantage. With the claim that it will help prove their innocence, the Vice President turns over his official travel records (his sojourn to Cathedral Heights metro station to meet Zoe Barnes is presumably absent from that data) since the time he had become Whip and encourages the President to do the same, telling him that he should not be worried about the counseling sessions – before informing us that is exactly the thing about which Walker should be concerned. Underwood also confesses to the viewer that he feels isolated and exposed and one of the main reasons for this is the slipping in performance of Doug, who had previously been such a reliable and formidable ally in executing the Vice President’s dirty work. Stamper is attending AA meetings more frequently than before, not because he is drinking again, but rather his obsession with Rachel makes him feel the same way as alcohol does. A showdown with his boss jolts Doug back to reality and he is grateful when the Vice President gives him a third chance (the second came when he got sober 14 years earlier), vowing that things will be different going forward. In order to achieve this, Stamper attempts to control his addiction to Rachel by deleting her from his phone, before destroying his Blackberry (something he should have done in about 2008 – though his replacement is the exact same phone model), which also stops Gavin the hacker from being able to track him. It does seem like Doug is back on his game – he embraces assistance from Seth Grayson, while in his testimony to the special prosecutor, he dismisses his trip to the casino as just an investigation during which he found nothing, since he did not have the same resources as the Department of Justice. However, at the very end of the episode we see Stamper return to Joppa to check in on Rachel, witnessing her and Lisa in the throes of passion when he peeks in through the window. 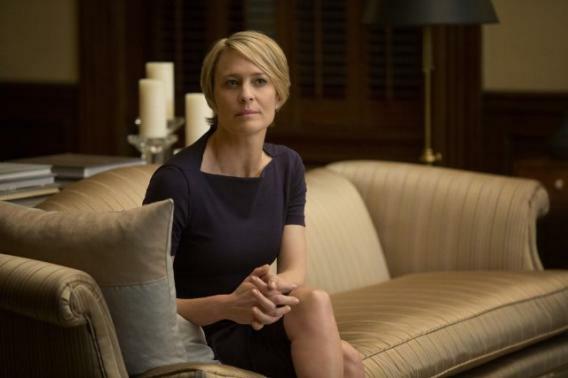 Underwood’s Chief of Staff might be formidable, but like Achilles – whom Frank references a couple of times – he has a serious weakness that could be his undoing. I consider it a bad sign if a minor character whom I like in a show is prominently featured prior to the opening credits, since it means there will be a focus on them in that episode and that could spell trouble. 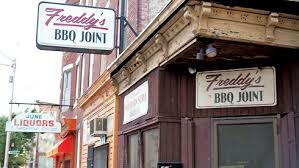 So was the case in this installment of House of Cards – which was directed by Jodie Foster – as it opened on Freddy the barbecue man going through his morning regime…clearly far too much attention being paid to him…why can’t they just leave him alone and let him serve breakfast ribs to the Vice President? Alas, Freddy will not be spared and so we have to watch him make the walk down the street (which for fans of The Wire – or those who just know Charm City – is very clearly Baltimore) to his BBQ joint and watch him as he burns the newspaper story about Claire Underwood reportedly having had an affair with Adam Galloway. We watch the representative from the company who wish to franchise his restaurant describe how he wants to give an “authentic” feel to the new locations by not making them “too nice”, but still locating them in the suburbs so white people will go to them. Oh, and he is offering Freddy a guaranteed $95k just for signing the deal . . . consider me doubtful. 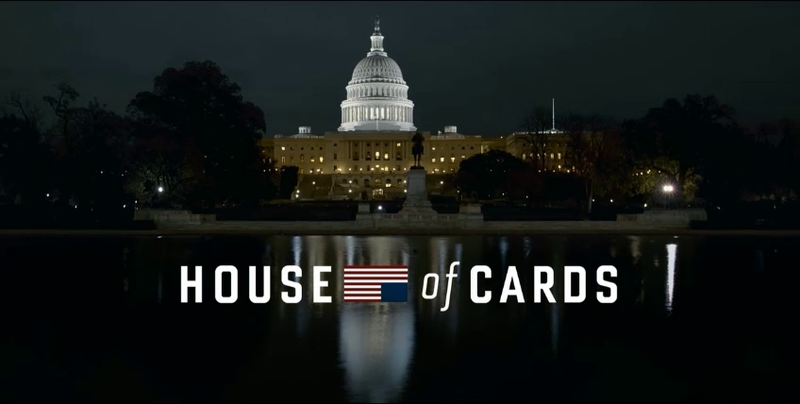 This installment starts with the Democratic leadership of the Executive and Legislative branches of government watching an attack ad that the Republicans have made questioning their ability to lead, noting the trade war with China, and the failings of Congress, pointing out that Francis Underwood was taken from that badly functioning (according to the commercial) body to be made Vice President. The ad is paid for by Friends of a Better America, which sounds about as far removed from the real world Americans for Prosperity – the right-wing SuperPAC with ties to the Koch Brothers – as the People’s Front of Judea is from the Judean People’s Front. Having heard the criticisms, the President and Vice President think about better ways they can lead, while Congresswoman Sharp discusses ways to make sure Congress is more effective…wait, no they decide to find out where the money has come from to finance the cost of running the ad and how they can get funding to launch a response. Politics, eh? 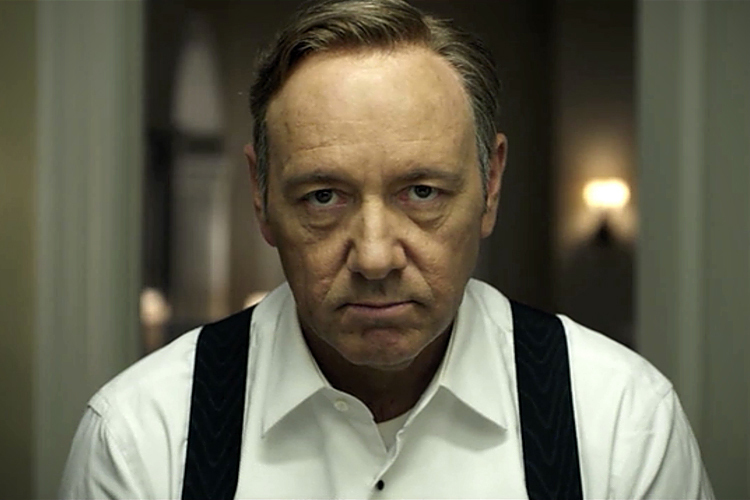 After getting an appropriations bill through the Senate in the previous installment, Vice President Underwood now finds himself back involved in his old job of Democratic Whip, as he attempts to assist his successor, Jacqueline Sharp, to get the House to pass it and ensure there is no government shutdown. Unfortunately for Francis, this means he has to try to convince Congressman Donald Blythe – whom he screwed over in the first season by shredding his education bill – not to vote against the special amendment, with Blythe holding a lot of power as he has a block of 28 Representatives who intend to vote with him. Before the meeting, which Frank manages to hold in his old office to give himself as much home field advantage as possible, he turns to the audience and tells us that with time he has always been able to convince Blythe, but on this occasion he only has 2 hours and 17 minutes before the bill is taken to the floor of the House. 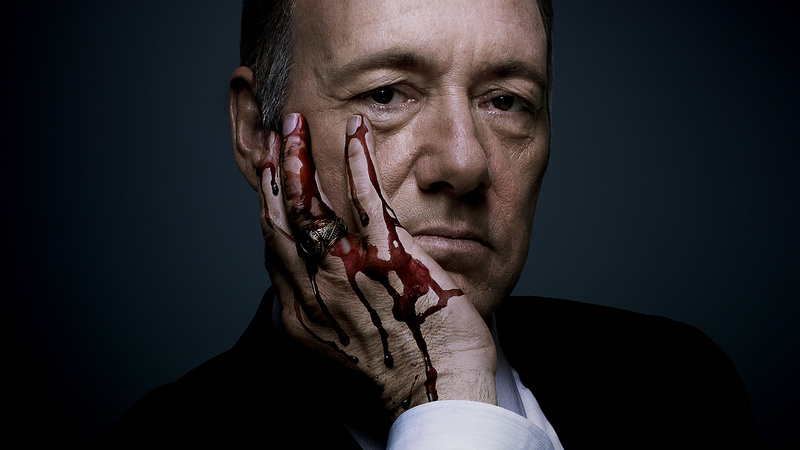 With Underwood, when circumstances turn in his favor it tends to be with the guiding hand of Doug Stamper, but on this occasion it is seems to be good fortune that allows him more time trying to convince Donald to change his mind as a staffer in the Whip’s office opens an envelope and is covered in white powder, forcing a shutdown of the Capitol (due to a potential terrorist threat rather than an economic one) while men in HazMat suits investigate the substance. I would not be at all surprised if it is later revealed that it was the Vice President who orchestrated that chain of events in order to win himself more time with the vote – after all, he does turn to the camera and tells us that “good things happen to good people”, but the delay also means that he will not be able to appear alongside Claire on a television interview they are set to record that evening. With Frank in quarantine, his wife prepares for the inevitable question of why they did not have any children, preparing with her communications guy, Connor, a rote answer that she has given many times before. At the start of the interview – which ends up being only with Claire and broadcast live to due Francis’ delay – Claire shows her prowess in how she deals with a range of questions about her childhood to whether or not the Vice President had been primarily interested in her for her father’s money, which helped him win his first campaign. The interviewer – CNN’s Ashleigh Banfield, who follows Rachel Maddow as the latest journalist to make an appearance as themselves on House of Cards – asks for Claire’s most vivid memory from her childhood in Texas and she recounts a time when her father took her to Dealey Plaza to show her where President Kennedy had been assassinated, then told her that “he made the world a better a place and sometimes that comes at a price”. It was a really poignant memory that seemed so personal and important to Mrs. Underwood, I could not help but think it was also completely fictitious. Claire is forced to alter the truth once more when Ashleigh will not accept her standard answer to the question about why they did not have any children and she brings up a rumor that had surfaced during one of the campaigns that Mrs. Underwood had an abortion, though we learned in the finale of the first season that she has in fact had three during her life. When asked directly if she has terminated a pregnancy, Claire recognizes the delicacy of the issue, but does say that she has before asking for a break, which allows her to consider her options and she decides to not only talk about having been raped – stating that was when she had the abortion – but also naming her attacker as General Dalton McGinnis. While the VP’s wife is putting herself in a position where it could be her word against a General’s, during another intermission the network receives a call from a Private who had also been assaulted by McGinnis and Claire convinces her to tell her story so that others will be protected. The corroborating evidence also ensures that the big headline from the interview will no longer be the abortion, but sexual assault by a commissioned General. A big problem for Claire will now be keeping her own truth about the timeline of events and the number of terminations she has had a secret, something that she needs help with from Connor, played by the guy who raped his own wife, Joan Harris, in Mad Men. Back in the Whip’s office, Francis had shifted from a campaign of calling Donald Blythe “no better than the Tea Party” for his unwillingness to even negotiate, to sympathizing with the Congressman over his wife, who suffers from Alzheimer’s and at times does not remember him after thirty years of marriage. Underwood being Underwood, it is of course all a tactic to try to get Blythe to forget his convictions and vote for the appropriations bill, in exchange for one that provides more funding for research into Alzheimer’s, but when Donald figures out that it is just a ploy, he gets angry with the Vice President and refuses to talk to him any more. 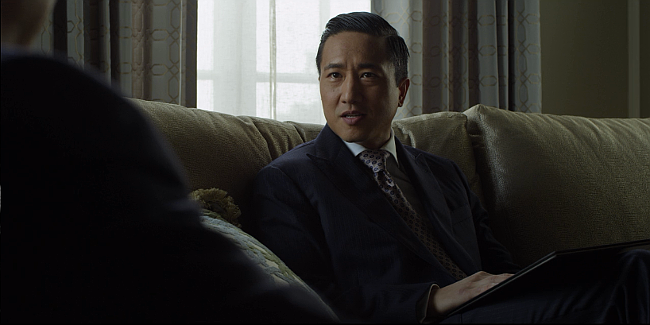 However, after watching Claire’s interview he hands Frank a drink and tells him that his wife is a brave woman, a compliment that Underwood reciprocates, before rushing home as the all-clear has been given since the substance was just talcum powder and wheat (again, the fact that the wheat gave a false positive suggests whoever sent it knew what they were doing and how to provide the longest possible delay, so it appears to have Francis’ fingerprints on it). The final moments of the episode provide a nice moment of intimacy between Claire and Frank as they share a cigarette – a real one he had hidden under the lamp – and, at her request, he sings to her, though the choice of song is not quite so sweet: the ballad of Pretty Polly, about a young girl who is murdered and buried in a shallow grave.